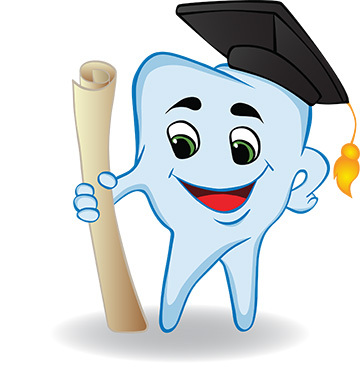 Wise Up About Wisdom Teeth, Lewisburg! Most of us know that wisdom teeth come in during our late teens or early 20s. Unfortunately they can cause problems such as coming in unevenly, partially, or not at all. When this happens, they are called partial or fully impacted wisdom teeth. Most of the time, the solution is to extract them, and at the dental practice of Dr. Larry Winans in Lewisburg, PA we can determine if an extraction is right for you. While most of us know the basics behind wisdom teeth, there are some interesting facts about wisdom teeth that you might not know. Some populations in the world never develop wisdom teeth, and in other populations nearly 100% of the people develop their wisdom teeth! Scientists don’t know why although the phenomenon is being studied. Impacted wisdom teeth are an ancient problem. The oldest known impacted wisdom tooth belonged to an unfortunate European woman who lived roughly 15,000 years ago during the Magdalenian period (13,000-18,000 B.C.). The most important fact about wisdom teeth is that if you experience any pain or soreness, get to our dental office in Lewisburg as soon as possible. Even if your wisdom teeth come in, they can be a challenge to care for and are prone to cavities. Regular dental care visits can help us determine if there are any potential problems with your wisdom teeth and if extractions are necessary. If you grind your teeth, even in your sleep, you can wear them down without even noticing! You may need a night guard or other appliance to help stop grinding, and if your teeth are worn down, you may need further dental work to build up your bite. A toothbrush with hard bristles might seem like a good idea, but it’s better to use a soft- or medium-bristled brush, and brush regularly and longer! Two minutes is the proper length of time for a good, thorough brushing. Brush and floss your teeth at least twice a day, in the morning and before bedtime. If you can’t brush during the day, try to drink plain water so you can at least “rinse” out any food particles or acidic drinks. If you have any of these habits, it’s never too late to change! If you have any tooth or gum pain for any reason, please call our dental office in Lewisburg at 877-377-1952.